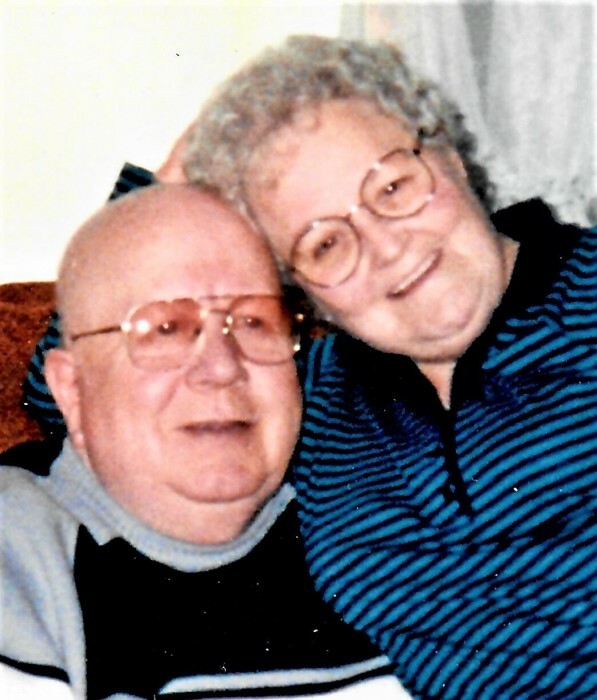 Loren L. “Bub” Bronson, 87, of West Stockholm died peacefully while in the company of family on Wednesday, November 28, 2018 at The Alice Center in Malone, where he had been a resident since August. Bub was born on December 1, 1930 in the Town of Stockholm, the son of the late Harrison and Mabel (Fefee) Bronson. He attended West Stockholm Schools and graduated from Potsdam High School. On December 17, 1955, Bub was married to Jean Winters at the West Stockholm United Methodist Church. Jean predeceased him on October 17, 2012. He was a member of the Teamsters Local Union, he worked for Walsh Trucking, on the St. Lawrence Seaway, Delux Lines of Massena and for Dart Transit. Following his retirement, Bub worked several part-time jobs with his last being Walmart, from which he retired in 2015. He is survived by a daughter, Tammy Bronson and fiancée Donna Carpenter of Branford, CT; a son, Greg Bronson and wife Kelly of Massena; a grandson, Tristan Bronson and Brittanie Sprague of Parishville; granddaughters, Samantha Bronson of Syracuse and Kristen and McKayla Gunderson of Massena; great-grandchildren, Claire Bronson and her mother Elizabeth and Payton Sprague. Also surviving are a sister-in-law Lillian MacLeod of Ingleside, ON, as well as many nieces and nephews. He is predeceased by four brothers, Harrison, David, Gilbert and Vincent Bronson and by five sisters, Thelma Bronson, Mary Morrow, Lena Gallagher, Marjorie White and Yvonne Halverson. In accordance with his wishes, there will be no calling hours or funeral service. A graveside service in the Riverside Cemetery, Norwood will be held in the spring. For those wishing to make a contribution in his memory, please consider the West Stockholm United Methodist Church, 36 County Route 57; West Stockholm, New York 13696 or the West Stockholm Fire Department and First Responders, 143 County Route 57; West Stockholm, New York 13696. Memories and condolences may be shared online at www.olearyfuneralservice.com. Arrangements for Loren L. “Bub” Bronson are under the care of the O’Leary Funeral Service of Canton.